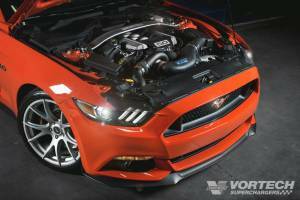 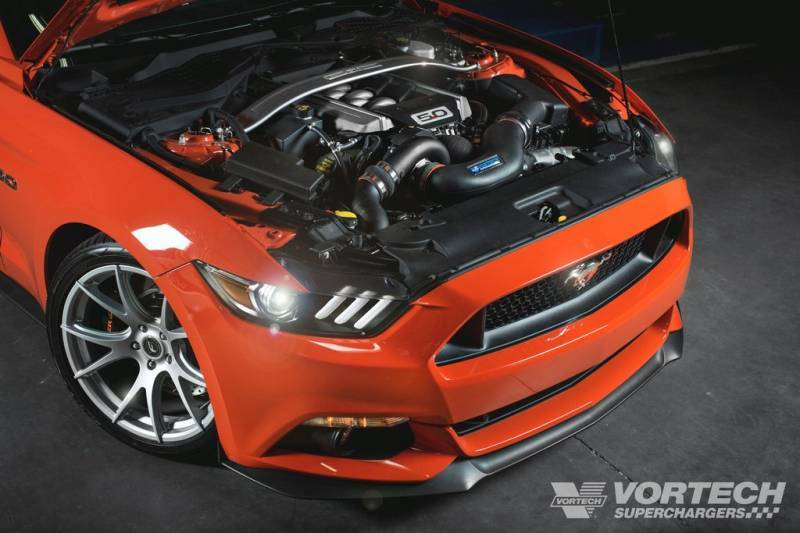 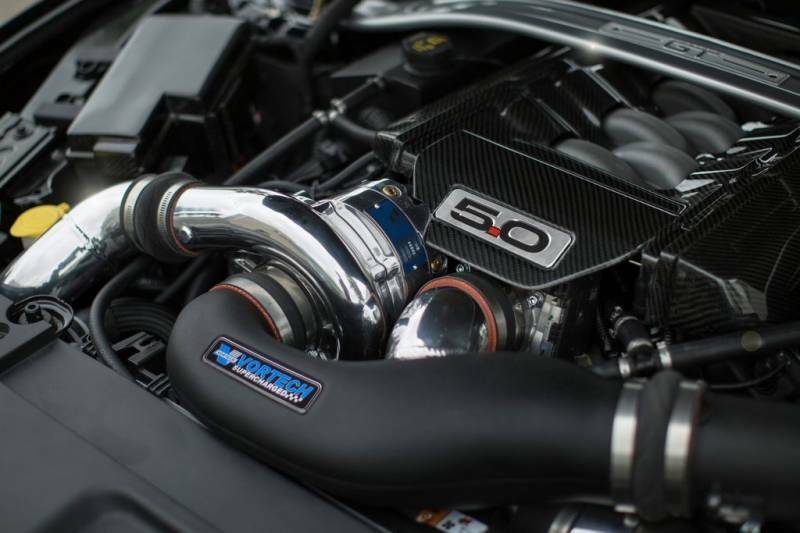 This Vortech Air-to-Air Intercooled supercharger system with a V3 Si head unit setup for the 2015-2017 Ford Mustang GT 5.0L is capable of getting you 775 horsepower on just 7.5-8.5 psi of boost! 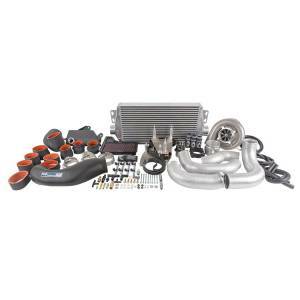 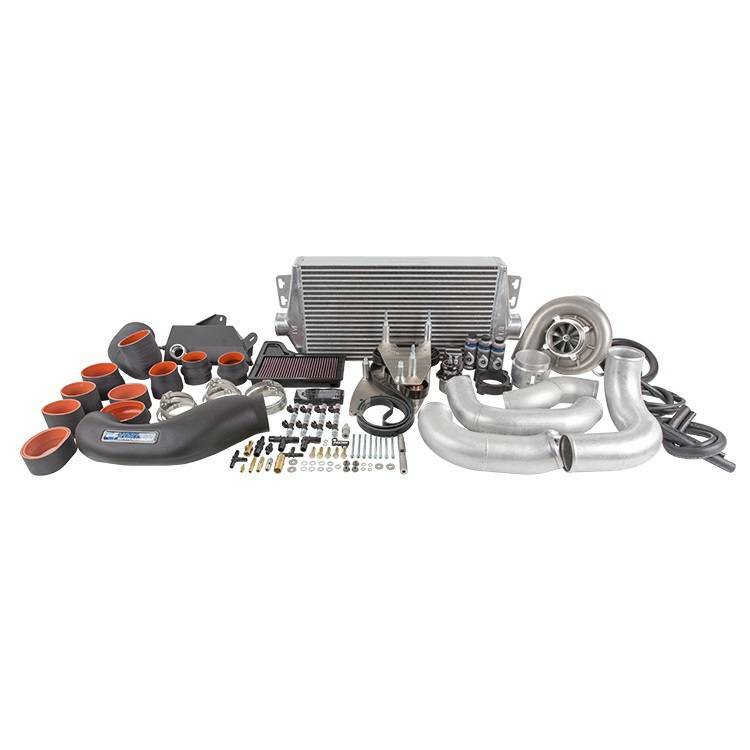 This is the tuner kit which will require a custom tune done locally after you install the kit, and does not include a fuel system, programmer, or tuning. 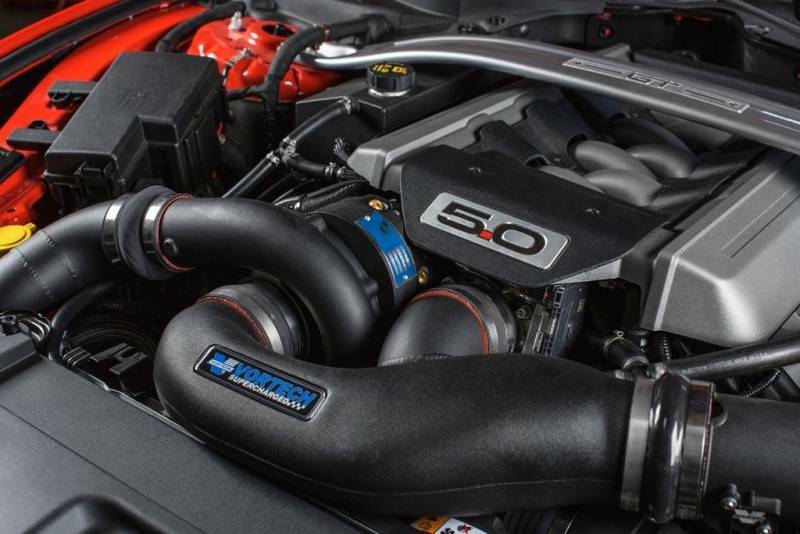 Polished upgrade option is pictured for reference only, the standard kit is satin finish.